I love cold soups, but I know they’re not for everybody. Happily, this soup tastes equally good served warm, and garnished with a sprinkling of fried pancetta cubes. Melt the oil and butter in a large saucepan over low heat. Add the onion and cook for ten minutes, or until golden and soft. Add the stock, and bring to a simmer, then add the peas. Cook for ten minutes. Remove from the heat, and stir in the chopped mint. Purée the soup and season to taste. 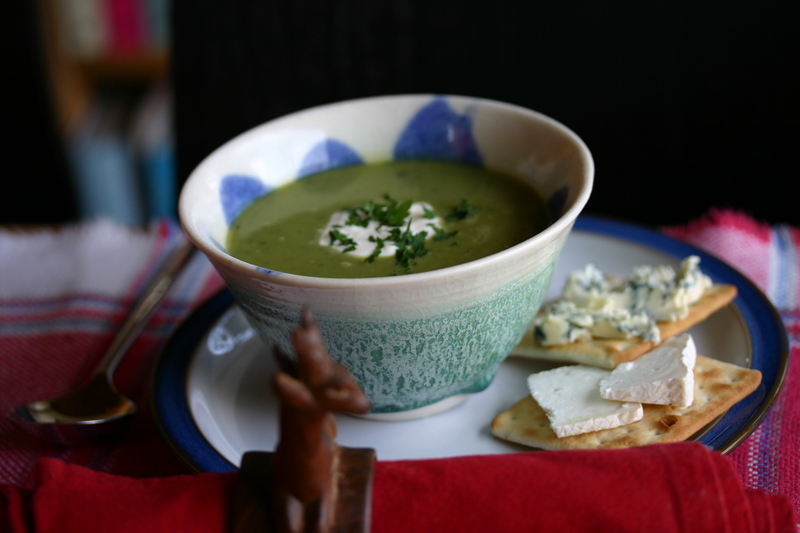 Serve hot or cold with a dollop of creme fraiche. Awwww here is a soup worth marking as your next favourite! !